We at Animal Matters love to ride our bikes. We love to race them too. We compete in cycling road races, time trials, and triathlons (even Ironman)! We thought it’d be cool to combine our passions of animal adoption/welfare with competitive cycling. Pitbull Racing was born! We ride with a mission to be fast and to spread the word about animal rescue and adoption. We’re a group of cyclists who love to ride and who want to make a difference. We train in Florida, Texas, North Carolina, California and Norway (yes, we’re international)! 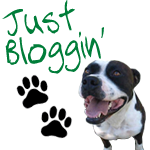 Partnered with Animal Matters, Pitbull Racing promotes the Pitbull breed and animal adoption in general. Take a look at a few of the faces (mostly Pits & Pit mixes) Animal Matters has helped over the years. You’ll better understand why awareness and change is imperative to making the world a happier place for our defenseless friends. Now, order yourself some Pitbull Racing gear & get people talkin’!